Watch anywhere. Cancel at any giving time. You are in control. 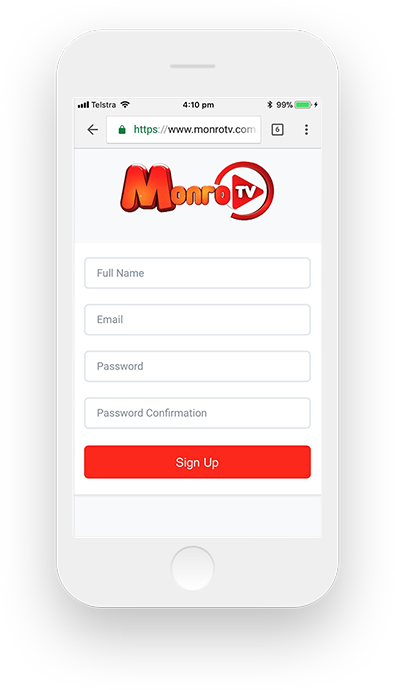 Monro Tv is known as the best platform for all African Movies. With your own profile, you are in control. keep track of any updates right within your dashboard. and invite your friends to watch with you. all with the same account. as well as popular movies and TV shows, with all titles available to download. and start enjoying the best of Lollywood, Nollywood & Ghallywood movies.